What's this... an RPG with a highly saturated colour palette? Has the world gone mad?? The gaming industry is currently going through a period where the market is saturated with RPGs. Even traditional elements that make up the genre are starting to filter into other games that did just fine without them before. This isn’t necessarily a bad thing, but as the saying goes “familiarity breeds contempt”. Before you know it we’ll be sick of being a rogue dark elf, whose main attributes are alchemy, lock picking and persuasion. So, when the opportunity presented itself to head to the EA offices to have a crack at the opening four hours of Kingdoms Of Amalur: Reckoning, it wasn’t something I could pass up. especially as this title had already grabbed the attention of a couple of other GL writers. Up to this point my only exposure to this game had been through GamingLives. I certainly hadn’t seen it being hyped up elsewhere, and it had generally flown under my radar. As the game begins you are treated to the opening cinematic, with the voice-over detailing the back-story that leads up to the start of your life or, to be more accurate, your death. For those not aware, the premise of the game is that you start off – literally – as a ‘blank slate’, awakening on a pile of corpses after being given up for dead. It sounds like someone made some terrible admin error and chucked out the wrong body, but in truth you were dead. However, be it the will of fate (an oft mentioned and discussed theme), a god, or maybe just an obsessed gnome, you have been resurrected. As your path, your destiny, your fate (there it is again) is technically null and void – having fulfilled it in a previous life – you are in a rather unique position of being able to shape the future of the Kingdom of Amalur. The cinematic is full of chaos, destruction and an ongoing war that stretches far and wide. It certainly creates an epic atmosphere as you settle down into things and you get a real sense of the doom that has stricken the land. It stirred similar feelings for me to the opening of Lord Of The Rings and I’m very hopeful that there will be a few large scale battles at some points. From here I created my character. In terms of races I had four available to me; I went against my usual choice of going human and picked a Ljosalfar. If I had to compare him to a generic race it would probably be a dark elf. The character creation mechanic certainly allows for an amount of tinkering; while it may not be ridiculously deep, it offers up enough to placate all but the most obsessed character creators. After this is complete, things really begin to pick up as the player wakes up on the previously mentioned pile of corpses. As you get to control the character for the first time, I was initially drawn to my surroundings. This place looked huge. Not only did it look huge, but it looked graphically excellent. Chunks of rock fell from the roof, waterfalls cascaded down from various cracks and crevices; it looked fantastic and conveyed a very decaying world. I moved off, quickly picking up my first weapon (a longsword) and meeting a gnome – one of the races in the game – who led me onward, and I went through a very subtle tutorial giving me a brief taste of various weapons. The opening twenty minutes is spent in this way, experimenting with a mix of direct straight up combat, magic and stealth. It also teaches the player the basics of general combat and it’s all very covert and enjoyable. It never intrudes into the story, which grips you firmly by the scruff of the neck right from the off. 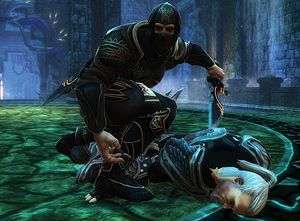 The stealth mechanic allows you to perform stealth kills; I’ve seen some brutal deaths in my time as a gamer and this was no different; quickly sweeping a guard off his feet and then slamming his body into the floor with my daggers was certainly one way to ensure he wasn’t getting up. A nice touch was my character covering his mouth to muffle the scream and then looking around afterwards to make sure no one had heard – a good layer of detail. As I moved through the dungeon, met the gnome responsible for my resurrection and did combat with various Tuatha Deohn, I discovered that these guys are your primary enemies and they don’t go down easily. No problem, however, as combat itself is a joy. 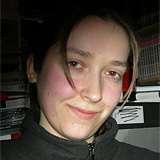 With many RPGs, combat can come in behind story and character progression in terms of importance; a standard hack and slash approach, or dizzying amounts of button combinations are the standard fare in most titles. Here, however, Big Huge Games have created a combat system with a surprising amount of depth to it. Armed with my longsword and shield, I engaged the Tuatha, raining hefty blows down upon him. His companion moved towards me to break up the fight and I quickly raised my shield, deflecting the blow and activating a brief slow motion moment that gave me a chance to unleash a lightning bolt. The first guard got off the floor and charged me, but I avoided him with a dodge and then finished them both off with a giant flaming hammer that I’d borrowed from a corpse. There’s a certain amount of realism to the fighting; if I hit one foe with a hammer and the other is in its path, he gets hit too. Considering it’s a huge hammer, I’d expect the collision to feel more weighty then if it were a staff or sword anyway and, thankfully, the two went crashing into some boxes. The whole battle took around a minute and required me to pay attention; even with two enemies, I had to dodge, parry and finish them off, but they blocked and dodged too, meaning I couldn’t just mash the attack button into oblivion. I found it refreshing to play a game with such a heavy focus on combat as well as story and character progression. I finally moved out of the underground and went topside for my first real look at Amalur. It was just as gorgeous as the underground had been. It was all in the details though: a pack of wolves prowled in some long grass, strange plants grew at the roots of trees that were hundreds of feet tall and fairies danced on top of a nearby lake. This was a living, breathing world. It has to be though – the idea of fate being a main theme means that the need for this world to seem alive, to have a purpose, is possibly greater then any other aspect in the game. If you as the player don’t feel that your character can change the direction of any of these things, then what does it matter that you came back from the dead? As I progressed I was greeted by a Fateweaver who advised me how to use Reckoning mode. Whenever you kill something in Amalur, you collect ‘threads of fate’. These are essentially the remaining fate that the person or creature had prior to you killing them and you collect this to activate Reckoning mode. While this is activated, time slows down and you do more damage. As you kill each enemy they slump to the floor but don’t actually die, and once you’ve attacked as many as you can, you can kill one off with some sort of finishing move. Through my playtime I saw some very vicious dagger attacks, the use of bows and arrows and some cool sword techniques. As long as you finish one off, all the others you attacked will also die, with their threads of fate unwinding before your eyes. Doing this gains you a massive XP bonus and, as another plus, you look awesome while doing so. 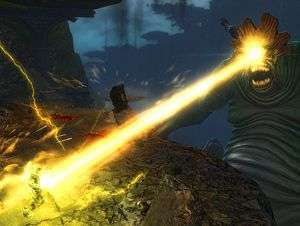 While Reckoning mode is activated, your character is covered in a dark blue fire and the finishing move involves the fire taking the shape of a weapon. It is as great as it sounds; it can obliterate even the largest of opponents and is something that will, no doubt, need to be used. After decimating a group of bandits with my newly acquired powers, I journeyed into the first village. The sheer level of detail was again shown here. Guards walked around and spoke to citizens, while people went about their daily jobs. Some went to a nearby graveyard, got on their knees and prayed; others went into a local store to purchase goods. Again, a living breathing world. It wasn’t even a large settlement; it had maybe five buildings and a handful of people. It was outside a tavern that I got my first task: a woman on the brink of death required the help of a nearby doctor and I was tasked with going to find her. The sick woman was a Dokkalfar and the other races felt it inconsequential to help her, but being the hero of this piece I burst into the forest searching for the doctor. By this stage I’d levelled up a couple of times and had started putting points into my abilities and ‘Destinies’. The abilities tree basically caters for a select few actions such as lock picking, blacksmithing and so forth. The Destinies section covers what class you are, only designed with player choice and freedom in mind. Rather then being shackled to a certain class and dictated to as to how you will play, right from the start, you progress your character how you see fit. The Destinies are presented as a style of Tarot cards that you select and gain bonuses for. As you level up, the choices become more distinctive until you have created a Necromancer, Battle Mage, Rogue and so forth. However, because of the freedom to do this as you progress, the class you come out with maybe a hybrid of all three or none at all. It’s a fantastic idea and it works brilliantly in motion and if you’re not happy with your choices you can pay to change your fate, allowing the player to really craft the experience they want. As I explored the forest I’d love to tell you that I found the doctor, went back and saved the girl. The reality of the situation though is very different. I was essentially in awe of what was before me. This place was alive. It looked like a real, living forest. The level of detail and the attention that had been paid to the smallest things was astounding. Visually it looked lush and vibrant, but it wasn’t just how it looked, it was what was going on even without my interaction. I watched as a little impish tree fellow chased a fairy around a small grove. He had his arms stretched out and kept jumping for it. This was totally dynamic, had nothing to do with any quest, me or anyone else. He was just chasing the fairy because he could. As it flew away he went and rejoined his friends who were busy worshipping a statue. This was also dynamic. The fact that they were actually enemies and I slaughtered them all in the minutes to follow didn’t detract from the fact that this is a game with a level of detail I’ve rarely seen elsewhere. 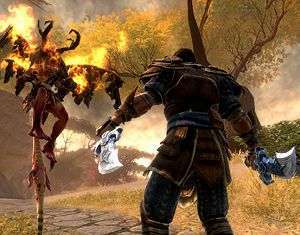 Although captivated by Kindoms of Amalur I was given the opportunity to interview Art Director, Tim Coman and Systems Designer, Will Miller, where I wanted to get more detail on a few key features, that I didn’t have time for. I’ve really enjoyed getting to grips with the game and especially the Destiny system – something very innovative in terms of moving away from the industry standard of ‘classes.’ Was it something you guys wanted to focus on right from the start? WM: The destiny mechanic came out of the design process very early on. It came out of a discussion basically saying the normal RPG mechanic is a problem, and there’s a lot of anxiety towards that, and we’ve come up with this clever solution. We tried it and it just worked immediately. You start assigning points to the various trees and they complement the build that you are creating. The points really help create the build that you are organically making for yourself. You can swap it as many times as you want. You can even go to a Fateweaver and totally wipe the slate clean… for a price. It really seems to work well. It’s certainly more enjoyable then being given a class at the start and having to conform to that class for the whole adventure. TC: We really wanted to focus on making sure that no matter what class or character the player came out with, it was enjoyable, rather then just catering to the most popular one. We know that people are going to come out with these hybrid classes that no one has thought of, so we’re focused on making sure every part of it is fun. You’ve said that you’ve tried to innovate where possible. You’ve got this huge story, this awesome character progression, the intense combat and there’s still a layer of detail that you don’t get in many RPGs. 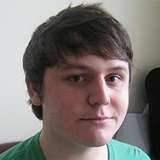 The enemies, for example, that seem to passively do things rather then just milling around waiting for you to show up. It looked like a green, mask wearing imp. TC: Ha, yeah the Boggarts will chase fairies by themselves or stand by a ruin or statue at worship it as a group. It’s certainly something we focused on. From the ten thousand year history we’ve got to work with we’re able to create a very believable enemy. You’ll also never be fighting the same enemy. As you progress further you’re going to get a mix of ranged and close combat opposition; you’re going to be getting huge beasts to fight, and smaller ones too. We spent time with enemy design ensuring that no two seem the same. I came across these little brown guys, who were crying and sad. They looked like children, so I approached them and then all of a sudden they had fangs and claws and then there were ten of the bloody things! TC: Yeah that’s it straight out of the Tome itself! Those brownie guys are designed to appear innocent and child-like before attacking as a very vicious pack. It’s exactly how you described it. That’s the level of detail I’m talking about. Clearly that extra bit of detail has made me question what they’re doing and why they’re doing it, and it turns out it was exactly the thought process you wanted. TC: Yeah, very much so. WM: It goes even deeper then that. You’ll see two types of enemies fighting each other. Certain factions hate each other; have been fighting for centuries. Enemies will attack other enemies. They are at war and will fight. If you leash one over to the other they’ll dynamically engage. It’s all systemic. 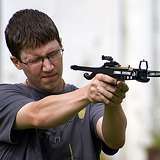 It’s how we can get the most our of our NPCs and enemies. Speaking of NPCs, I ran into the town guards and it didn’t go so well. TC: There’s a lot of them right? They just kept pouring out of everywhere and resisting arrest was probably not the smartest move I’ve made today. They came from the taverns and the shop. It was like someone pressed an alarm. WM: There are lots of them and they will engage with you, rather then just allowing the two or three that are dealing with you. While I was in the shop I actually came across the work benches for the crafting. Being chased by the guards I didn’t have a chance to have a go, but I’ve been trying to and also trying (and sometimes failing) to collect reagents. WM: Yeah, so you can pick up these reagents. Some of them are pretty hard to find and some are actually hard to harvest, so you need to invest skill points in being able to harvest them in the first place. Depending on your skills you can experiment with two to five reagents. With no points invested you can take two, put them together and see what happens. If you fail you will get a wild potion, which will have an unknown effect, some good, some bad. Drink it at your peril kind of stuff? WM: Exactly, but if you succeed, you will get a recipe which you’ll remember and can re-use. As you invest more skill points you can use more reagents until the fifth slot is unlocked. The fifth slot is actually fate itself. You can make potions with ‘essence of fate’. And I know you’ve got a weapons crafting system too? WM: Yes we do, in the Blacksmith’s. This my personal favourite. It allows you to break down weapons into components and then craft new weapons. So if you’re playing as a mage and you find a sword that has excellent stats but you want it to be a staff, you can break down the sword, keep the excellent stats, and craft it into a staff. This is setup so that the player always knows what’s going to come out of it ahead of time. Even if you get a sword, it can be tailored to what you want and you don’t lose how good it is. So is crafting the best way to go for weapons, or will you be able to come across the best loot out in the world? WM: The loot out in the world is great. You’ve got your sets of armour, great weapons, the reagents. It’s all there, and it’s awesome. With the crafting systems though, you really get the best stuff in the game – if you take your time to invest in them. The loot you will find in the world generally will be awesome, but the best gear – the killer items – will be the items you craft. So it’s worth investing points in crafting. You can even name them too. Nothing better then naming your own sword! WM: Ah mum’s the word on that! What can you tell me though? You’ve got this large story to play with and all these innovations. Is it going to be similar to what you’ve got on your hands here? WM: It will be a different time period and a very different game to ours but it will mesh together very nicely. Much to my dismay, my time with Tim and Will ended there, as did my time with the game. 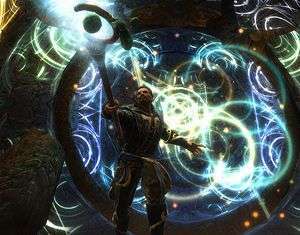 I’m in no doubt at all that Kingdms of Amalur: Reckoning may be the sleeper hit of 2012. It’s taking all the essential RPG elements and asking “How can we make this better?” It’s challenging a lot of conventions that have become stagnant in recent years, with little true innovation. The storyline, the character progression, the combat, the graphics and sound… all of it is coming together in a fantastic way, which has bumped this game high up on my list of wants for this year. If anything I’d say the market needs more RPGs, it’s certainly one of the less represented of the core genres and as a result would disagree with the saturated comment. FPS, Sport, even Action adventure surely outnumber the number of RPGs to be released over the last year. We had a very good year in terms of Witcher 2 and Skyrim, Dragon Age 2 to an extent I suppose but the number of ‘true’ RPGs were few and far between. 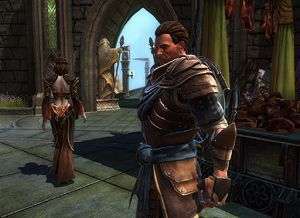 Reckoning does look pretty nice though, is how I always wanted Fable to be. It also does one thing right that so many games fail to do, provide nice looking armour sets because let’s face it, nobody likes looking like a walking advertisement for rust remover. I find myself looking forward to this game more and more. The most attractive thing for me is the crafting system. Being able to break down existing weapons and build new ones with the parts. It’s what I loved best about Two Worlds 2 and the thing I missed the most in Skyrim. 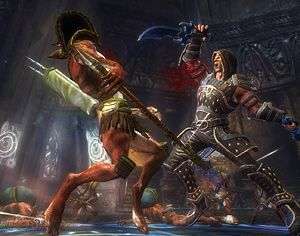 I have been looking forward to this game since I heard the first interview with Ken Rolston, it is supposed to be out in the first half of Febuary but so far cannot get any pre-order with Gamestation:( I wonder if I can make a Dizzt Do’Urden character or Artemis one? Interested to see how their use of the online pass works out for them.